Penetration. Although associated predominantly with the young (under 35 year olds) carbonated soft drinks have penetration of more than 90%. Older consumers. A problem area for this market; the over-55s are less likely to buy them and this demographic is predicted to grow by 8.6% to 20m by 2017. Price. CSD category benefits from a relatively low price point which can also help it fight competition from the more upmarket, newer entrants in the soft drinks category. Advertising. The big brands' investment in above-the-line advertising keeps the whole category front-of-mind for shoppers. Coca-Cola's sponsorship of the Olympics has added to this. Health. Almost two in five users say they try to avoid carbonated soft drinks because they are unhealthy. However more than half drink healthier sugar-free variants and sales of this segment grew 25% (2009 - 2011). Growth. UK carbonated soft drinks have grown almost 17% in value since 2007 and are estimated to reach £4.5bn in 2012. But much of this growth is due to inflation with volume sales increasing 3.4% in the same period. 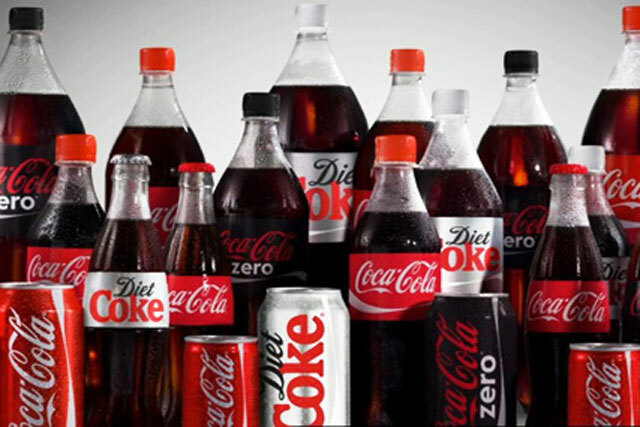 Howorth joined Coca-Cola Great Britain in 1998 and has held various marketing roles across a number of different brands. She is responsible for brands including Coca-Cola, Diet Coke, Coke Zero, Powerade, Fanta, Sprite, Dr Pepper and Oasis. She has also spent time in the marketing capabilities team developing training and development programmes for leadership roles of the future. Prior to joining Coca-Cola, Howorth worked at P&G in various brand manager roles. Since January 2004 Gatward has steered the marketing in GB for Britvic overseeing its soft drinks portfolio. Prior to joining Britvic he was head of marketing at Rank Hovis McDougall. Troy has overseen marketing and R&D activity at AG Barr since he joined in 2006. As part of that he has handled Irn-Bru's extension in England. He previously worked at Britvic on Robinsons (where he was involved in the launch of Fruit Shoot), Tango and Pepsi brands and previous roles have included stints at Nestle, Kraft and HP Bulmer. Coca-Cola. Dominates take-home with almost 50% of the market and sales reaching £1.2bn in 2011. As official sponsor of London Olympics it has optimised exposure with its global 'move to the beat' campaign. It also led the field on new flavoured product launches. Pepsi. Leads over Coca-Cola in the on-trade making best use of its increased distribution through its Britvic partnership. Investment in staff training has focused on giving consumers the perfect serve. It also achieved impressive value growth of 21.5% (2009 -2011) in take-home market. Schweppes. Value fell 1.5% (2009 -2011). Its lemonade was affected by price rises in the market making it harder to compete against colas and fruit carbonates. Own-label. Remains minor compared with strength of brands in this market and accounts for less than 10% of value sales in take-home market.